The Otten House, located just across the Mississippi River from St. Louis, appears to be an average family home. In reality, the Otten House is a net zero home, engineered to seamlessly blend proven, old-school technologies with modern materials and systems to create a beautiful, comfortable living space that generates as much energy as it consumes. 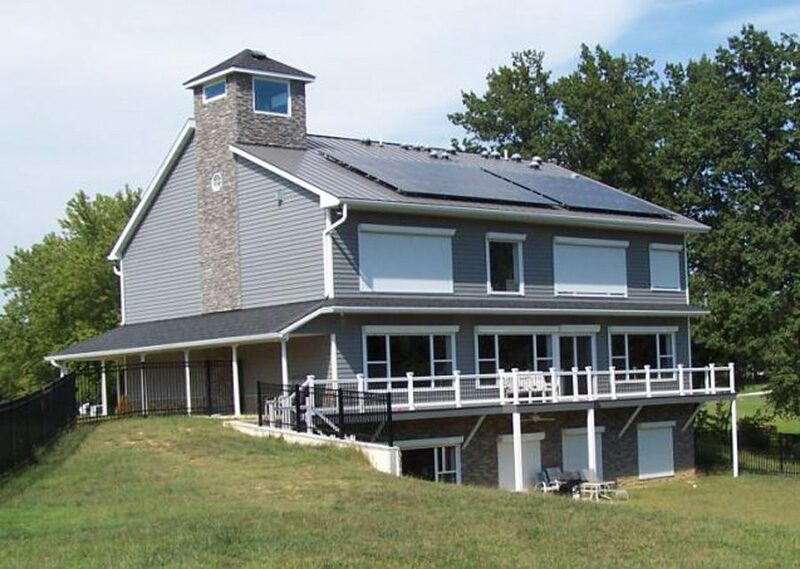 This house is special because it demonstrates that a house can achieve net zero energy without requiring exotic technology, complex systems, or looking weird. The owner is a trained engineer and retired Air Force pilot who understands the reliability problems inherent in complicated mechanical systems. In designing this “forever home,” he favored simple systems over complex ones. He figured he got something right before construction was even completed when, on a bitterly cold but sunny December day, with temperatures in the single digits outside, the house was 69º F inside—before HVAC was even installed. 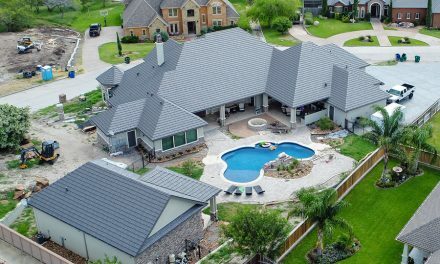 Given that this house was built as the homeowners’ “forever home”, ICF construction was also selected for several reasons beyond energy savings, including disaster-resistance and aging-in-place design. One homeowner concern was tornados. The house falls within an area of the most frequent and severe tornado activity in the country, and is also within the damage area of the New Madrid seismic zone. ICF is perhaps the most robust building method available to withstand these disasters. A rainwater harvesting system minimizes public water usage while increasing sustainability and disaster-preparedness. Rainwater from the roof is funneled into a 5,100-gallon cistern. A well pump moves water from the cistern through three levels of carbon filtration and UV purification into a pressure tank. The tank supplies water to inside toilets and outside hose bibs. The system is designed to handle the home’s projected flushing and gardening needs and is sized to accommodate St. Louis’ typical summer drought conditions. In operation, the rainwater catchment system has decreased the homeowner’s public water usage to one third of previous levels. To decrease the chances of an accident or old age chasing them from their forever home, the homeowner designed in handicap access from the beginning. ICF construction eliminated the need for those stairs up to the front door and stairs up from the garage typically seen in conventionally framed houses. In fact, if mobility circumstances dictate, the owners could live entirely on the main floor, which includes not only the kitchen and laundry room, but a full bath with a wheelchair-friendly, roll-in shower. To solve the net zero energy puzzle, the owner began with the building shell. 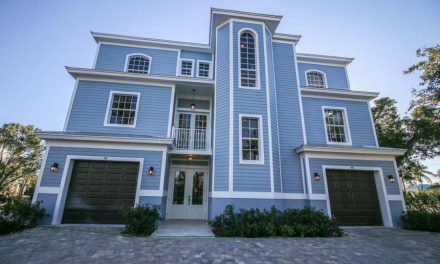 ICF construction established a relatively small heating and cooling energy requirement up front. Exterior walls on all three levels are formed with Logix’s Platinum Series ICF blocks (R-28). To complete the energy envelope, four-inch thick (R-20) rigid foam insulation was installed under the slab and open cell spray foam insulation was used on the underside of the roof sheathing. To meet the home’s remaining energy needs, 36 different combinations of technologies were evaluated, modeled, and assessed using an engineering decision matrix. Decision criteria included system complexity, acquisition cost, and solar array size. 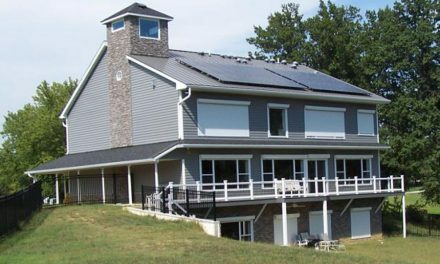 In the end, the net zero design solution selected (HVAC air source heat pump with forced air distribution, heat pump water heater, and earth tubes) was one of the least complicated and most cost-effective, achieving net zero with a solar array sized to fit well within the confines of the southern facing roof. ICF construction is the backbone that enables this tight and highly insulated house to achieve energy net zero. The general contractor for the project, James Otten of Otten Contracting Inc., has 18-plus years of ICF building experience, ranging from small energy efficient ICF homes to a seven-story ICF hotel and an ICF mosque. 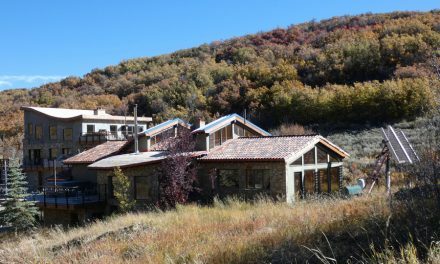 His painstaking attention to detail, such as back-foaming all exterior wall protrusions and mapping out clean and efficient HVAC duct work, made the superb energy performance of this house possible. His skill with ICF made construction of the numerous large windows and doors seem effortless, using custom-made metal bucks to tackle difficult wall pours with multiple 12’x6’ window openings. As testament to his efforts, blower door testing of the house’s building envelope achieved a natural air changes per hour (ACH) value of 0.05 for whole house infiltration, a truly phenomenal number considering that energy-efficient homes typically have ACH values between 0.35 and 0.5. The house uses a synergistic blend of passive and active systems for heating and cooling. Passive systems include a large wall of south-facing windows and a 200-foot long set of earth tubes. Active systems include a small air source heat pump outside the house and a heat pump water heater. Half of the house’s winter heating needs are met by capturing solar thermal energy using a large south-facing wall of double paned, high-transmittance windows. To capture the heat, two of the three house floors are concrete. The thermal mass of the concrete allows the floors to absorb radiant energy during the day and then slowly release the heat at night. The six-inch basement slab sits atop foam insulation, and the four-inch main floor slab sits atop beefed up conventional framing. To manage solar gain in non-heating seasons, the home takes a page from the ancient Puebloans’ playbook at Mesa Verde, sporting overhangs on all three levels of the southern-facing windows. The overhangs are engineered to provide full sun in three months of the winter, and full shade for three months of the summer. To manage solar gain in between summer and winter, the house uses exterior shutters to stop sunlight before it gets to the window glass. The house’s eastern and western exposures have no windows, a design decision made to ensure that windows—an otherwise costly break in the highly insulated ICF exterior—are placed only where they can yield maximum energy gain. As a result, several smaller interior rooms (e.g. bathrooms, pantry, laundry room) have no windows. To get natural light into those spaces, 12 sun tubes bring light from the rooftop deep into the home interior. They’re so effective that one can wander the whole house during daylight hours without ever needing to turn on a light switch. Another passive energy source for the house are the Earth Tubes, otherwise known as ground-coupled heat exchangers or earth-air heat exchangers (EAHE). Two, six-inch diameter PVC pipes run 200 feet from the house to a sheltered air intake. Buried 10 feet below the surface, they temper the air using the thermal mass of the earth. Around St. Louis, the ground temperature at that depth is about 55º Fahrenheit. In the winter, cold air is drawn into the Earth Tubes and warmed to the 50s before entering the home. In the summer, hot, humid air is drawn into the Earth Tubes and cooled to the 50s before entering the home. This provides 38% of summer cooling needs. As an added benefit, the cooled air is also dehumidified. Excess moisture condenses on the Earth Tubes, which are sloped at 2.5 degrees, and runs away from the house to a French Drain at the end of the tube. Aiding the ventilation is the cupola, which sits at the roof peak and increasing the house’s natural stack effect. When temperatures inside are warmer than outside, the stack effect draws air in through the Earth Tubes, sending it on a zigzagging path through passive vents in the floors/ceilings, up to the cupola and out an eight-inch diameter duct. In the summer, when the stack effect does not pull air through the house, ventilation is achieved actively with either the HRV, a solar powered fan in the cupola attic, or a powered fan in the cupola’s ceiling duct. Note that a key enabler of this passive cupola ventilation in this house is the reduced air infiltration inherent in ICF construction. With such a tight structure, the cupola draws air in through the earth tubes instead of drawing it in through leaks in the building envelope. In light of the house’s superior insulation and infiltration level, a much smaller than normal heater/air conditioner was required. With the house’s 5,656 sq. ft. of heated floor space and three high-ceiling levels, HVAC rules of thumb would call for 10 to 12 tons of air conditioning and multiple heating/cooling zones. Instead, this house uses a 4-ton variable air source heat pump. The system performed admirably last year through both an abnormally hot summer (over two weeks with highs topping 100º F) and an abnormally cold winter (nearly three weeks below freezing with single digit temperatures at night). A 12.3 kilowatt solar panel array on the roof meets all annual electric needs. The solar array is net metered with the power company on an annual cycle, allowing energy requirements and production to be balanced over the entire year. ICF Use: 6,703 sq. ft.